Leith-based RH Thomson & Co (Distillers) Ltd. is best known for the Robbie Burns blend of Scotch whisky, which was bottled during the 1960s and ‘70s. 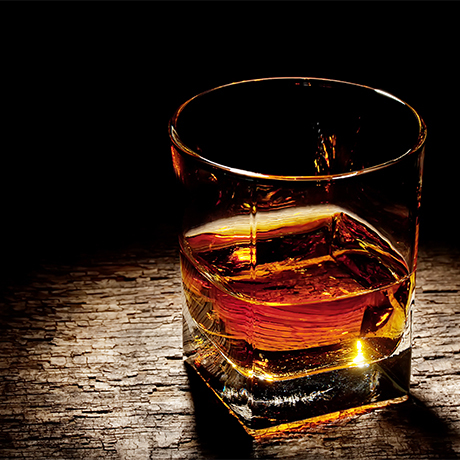 Although made as a tribute to the famous Scottish poet, the whisky was never recognised by the World Burns Federation. The company also produced the Old Angus and Windsor Castle blends. Situated to the north of Edinburgh in the district of Leith, RH Thomson & Co (Distillers) Ltd. was established in 1938 as a whisky blender. The company’s most prolific period was during the 1960s and 1970s, when it produced Robbie Burns Famed Old Scotch Whisky. RH Thomson & Co (Distillers) Ltd. eventually became part of the Distillers Company Ltd. (DCL), the forerunner of Diageo. During the 1970s it held the license for Teaninich distillery in the Highlands, which DCL had acquired in 1933. Non-trading blender and distiller owned by Diageo that once operated Royal Brackla distillery.